Here's everything you love about creamy, coffee-spiked tiramisu in a very easy, very quick (two minute) and better-for-you recipe for two. Stir 1 tsp. 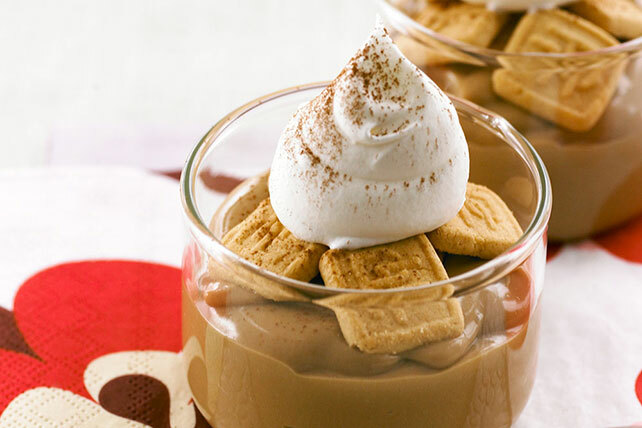 flavored instant coffee into each pudding snack. Top with cookies and COOL WHIP. Prepare using 1 pack (0.81 oz.) NABISCO 100 CAL OREO Thin Crisps.